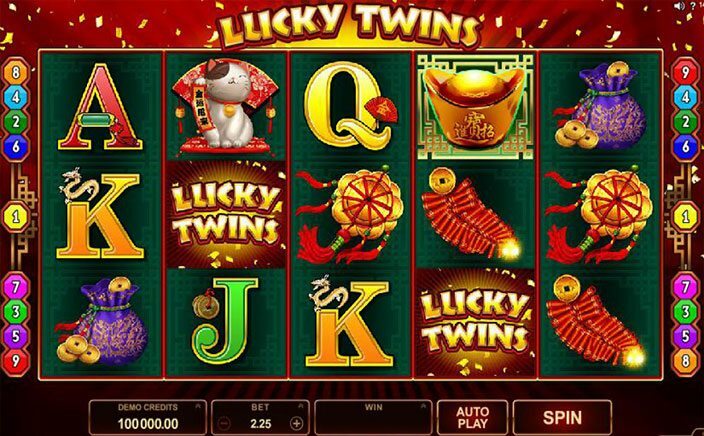 Be ready to get lucky with this Oriental theme online slot, Lucky Twins. The slot has been designed by Microgaming which is one of the biggest developers in the industry. You will find all the luck coming to you in this slot game in the form of pairs. The slot has 5 reels and 9 paylines which are fixed. You can win a lot of different prizes in this slot game with their bonuses and special features. The slot can be accessed on all mobile and tablet devices. The slot has a Chinese theme. So, you will find a bright maroon and red background with confetti flying all around. The slot has a golden outline and the symbols are arranged in the reels perfectly. The size of the bets can be adjusted in this slot game by clicking on the + and – options. The bet size ranges from £2.25 to £45. You can set up to 500 automatic spins through the auto spin option. Once done, you can click on the spin option and start the game. The symbols are all based on the theme and include a lucky cat, the logo of Lucky Twins, firecrackers, dream catcher and some Chinese coins. There are also lower value 10, J, Q, K and A symbols. When it comes to the special in Lucky Twins, you will find a wild symbol which is used as a substitute for any other symbol on the reels to make winning combinations. However, it can not be used in the place of scatter symbol which is the gold ingot. The scatter symbol will not reward you any free spins but whenever it lands on the reels 3 times on one screen, it will give you the highest reward. It does not have to land anywhere on the paylines. There are no other extra features or bonus features in this slot game, however, the given base game symbols are enough to help you win big rewards. 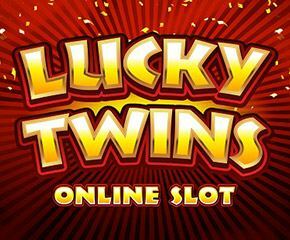 Lucky Twins is a good looking online slot with a lot of colours and a busy city soundtrack playing in the background. You might be disappointed with the lack of extra symbols and bonus features in the slot game but the symbols pay a large amount. The betting range is also high so you can expect some wins per spin. All in all, this is a fun and easy to understand slot game that will keep you stuck in your seats for some time and is a must try for the beginners.